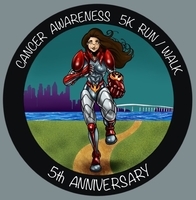 We Support U is happy to announce the 5th Annual CANCER AWARENESS 5K RUN/WALK. Register and join us celebrate our 5th anniversary! VISIT OUR FACEBOOK PAGE FOR DISCOUNT CODES. Hurry and register to reserve your spot at this annual event. Online registration will close on Friday, April 12, 2018 at 5:00 p.m.
Help us support patients facing a cancer diagnosis! Funds raised at the 2019 Cancer Awareness 5K Run/Walk will support local cancer patients by promoting health education, early detection, cancer awareness, and comprehensive care management. Thanks to supporters and caring people like you, We Support U has been able to improve cancer prevention, screening and survival among underserved, low-income communities and to be the comprehensive link between healthcare providers, cancer patients and their families, and community resources. Sign up and support the 2019 Cancer Awareness 5K Run/Walk. This will be our 5th annual run/walk and will take place on Sunday, April 14, 2019 at Bayfront Park in Chula Vista. It will be a 5K Run/Walk, untimed, through a course alongside the San Diego Bay. This course provides beautiful views of the San Diego-Coronado Bay Bridge and the San Diego Skyline. All participants will receive a finisher's medal, event t-shirt, and will be able to visit our booths at the end of the race. Come and enjoy a great time on the park by the bay while supporting a great cause! Who we are: We are a 501(c) 3 non-profit organization serving cancer patients and their families in Southern California. 5K Run/Walk Start Time: 9:00 a.m. Same Day Registration & Check-in: 7:30 a.m.
You may pick up for other participants by having a copy of their valid ID. Start time for all runners and walkers: 9:00 a.m.
* Please allow plenty of time for parking and to walk to the event location. Plenty of parking will be available at Bayfront Park (will close at 8:30 a.m.), and both parking lots at Bayside Park. There will also be limited street parking on surrounding streets. There will be some street closures. Please observe the no parking areas. Look for street signs for more information. South on I-5 - Take the J Street/Marina Parkway exit (7B). Turn right onto J Street towards Marina Parkway. Continue on Marina Parkway. Then turn left onto Marina Way. Park will be straight ahead. North on I-5 - Take the J Street/Marina Parkway exit (7B). Turn left onto J Street towards Marina Parkway. Continue on Marina Parkway. Then turn left onto Marina Way. Park will be straight ahead.